TPC provides a wide variety of options for surgical procedures. Our compassionate and caring staff, comfortable rooms and spotless surgical facilities are a few of the many reasons why you should consider joining our patient family. We strive to offer the latest healthcare technology for both inpatient and outpatient surgical procedures. Highly skilled surgeons and operating room staff are committed to providing our patients with the best personalized care in the Brazos Valley. 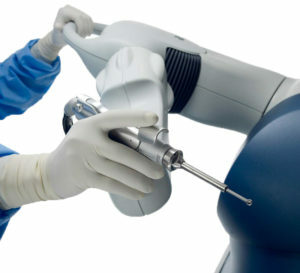 The Mako Surgery System is the ideal pairing of robotics and traditional surgery. A preoperative plan is personalized to meet your unique circumstances and needs for surgery. The wonderful aspect of this type of robotics is that the Mako is unable to move on its own and must be physically guided by the hand of the surgeon. This allows for unprecedented precision for the surgeon which provides more accurate implant placement, saves valuable bone tissue and yields faster recovery times. We encourage anyone considering knee surgery to click here and learn about this treatment option so that the most informed decision can be made regarding your care. Obesity is becoming more and more prevalent in our society today. The health implications of such a widespread problem are alarming and significantly reduce quality of life for individuals that have struggled to lose weight with little success. 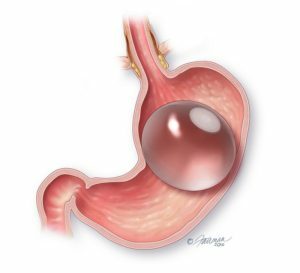 The ORBERA™ Intragastric Balloon is a soft, durable silicone balloon that temporarily occupies space in a patient’s stomach to assist in proper portion control. It has been used more than 220,000 times and the data show that the average person lost 3.1 times as much weight using the ORBERA™ as individuals engaged in only diet and exercise. Click here and take a quick look and see what you think. Click here to let us help you find a surgeon today.